Carolina Torres, a horticulturist and WSU alumna, has been named the university’s first Endowed Chair in Tree Fruit Postharvest Systems. Developing sustainable strategies to defeat pests that threaten Washington’s fruit crops is Tobin Northfield’s goal as new entomologist at WSU Tree Fruit Research and Extension Center. 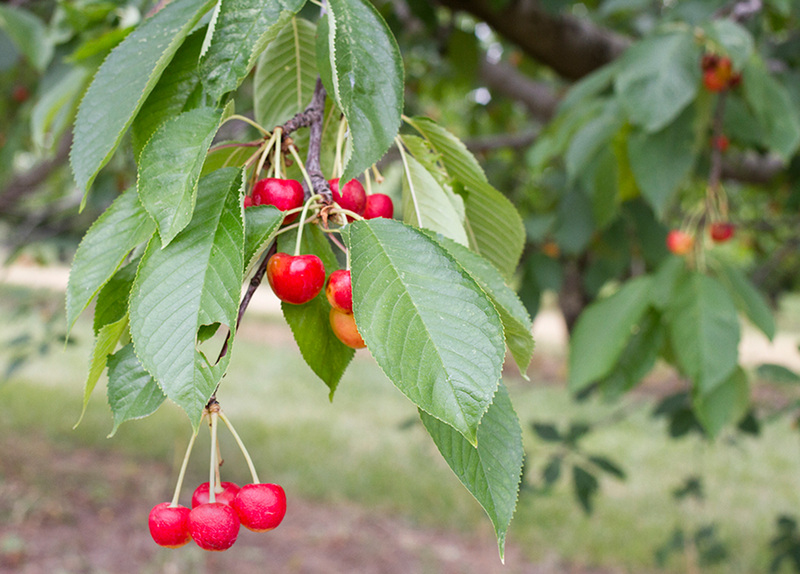 Per McCord uses genetic markers to speed the breeding of new varieties for state’s half-billion-dollar cherry industry. PROSSER, Wash. – Washington State University is partnering with Digital Harvest Corp. to test an unmanned aerial vehicle (UAV) that could provide a safer, less expensive means to blow rainwater off cherry orchards to avoid fruit losses. PULLMAN, Wash. – Due to the region’s overheated summer, this weekend could be the last chance to pick cherries this year at Washington State University’s Tukey Orchard. sweet cherry growers in central Washington are using new environmentally friendly materials and methods to control Cherry fruit fly.